I’m a sucker for streetcars. Here’s car 764 heading east on Commerce, between Prather and S. St. Paul. 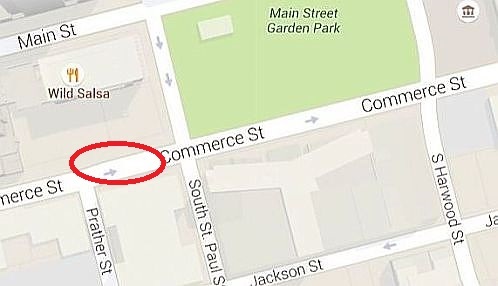 The Underwood Corporation was at 1805-7 Commerce, and Dallas Multigraphics was at 1807 1/2 Commerce — they both moved to this location sometime between 1936 and 1943. This stretch of Commerce was once jam-packed with typewriter companies. 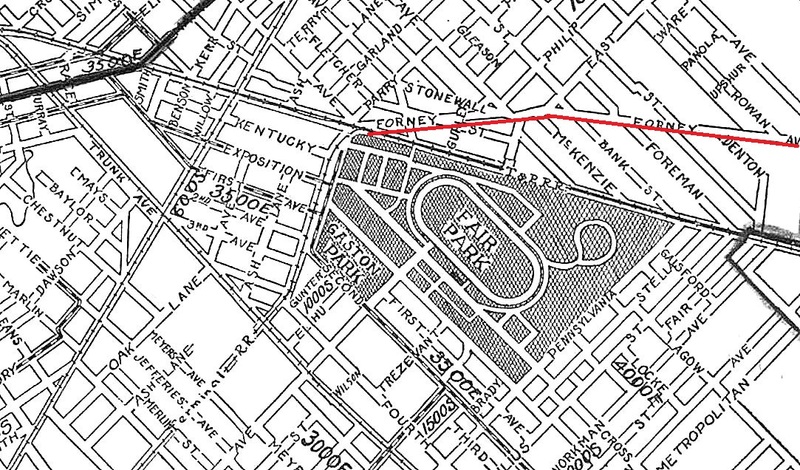 Forney Avenue ran along the northeastern side of Fair Park, about where Haskell does today, starting at Parry — if one continued along it past the city limits, one would reach the town of Forney. 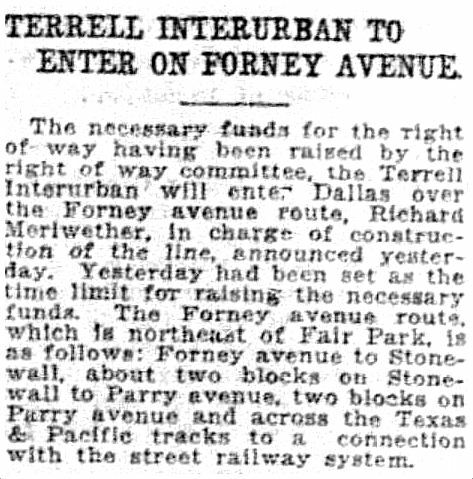 In 1922 Interurban track was laid between Dallas and Terrell, with the train entering Dallas along Forney Avenue, terminating at Union Station. 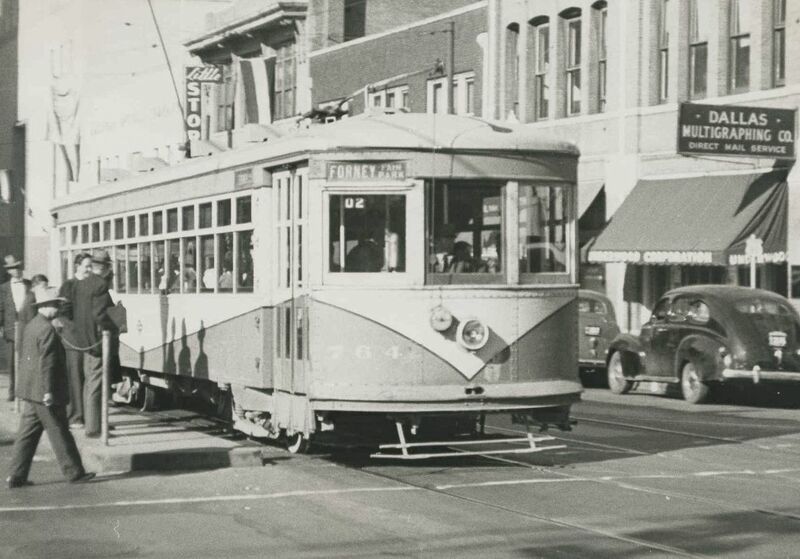 The Forney streetcar and the Interurban traveled over the same tracks. For more on the Dallas-Forney-Terrell Interurban, check out the 1925 publication “Making Neighbors of the People of Dallas and Kaufman Counties and the Towns of Terrell, Forney, Mesquite and Dallas by the Opening of the Texas Interurban Railway” — the 16-page pamphlet has been scanned by the fine folks at UNT’s Portal to Texas History, and it can be accessed here.